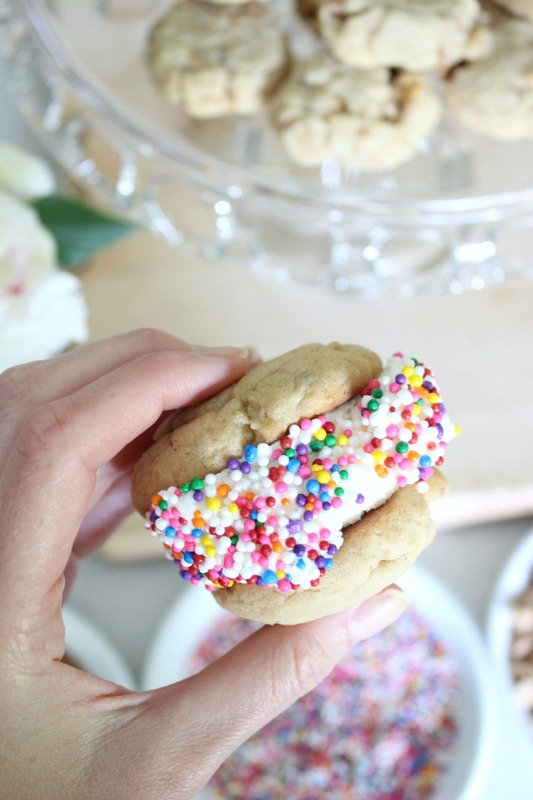 In my eyes, if there is one thing that embodies the first week of summer, it's ice cream sandwiches. B and I have been on the hunt for the most delectable ones in the city (more on that to come), so when I was finalizing the dessert menu for his birthday BBQ, which also happened to fall on the official first day of summer, I knew it had to involve these magical summertime treats. If you're planning on doing some outdoor entertaining this summer I urge you to put together a DIY ice cream sandwich bar. 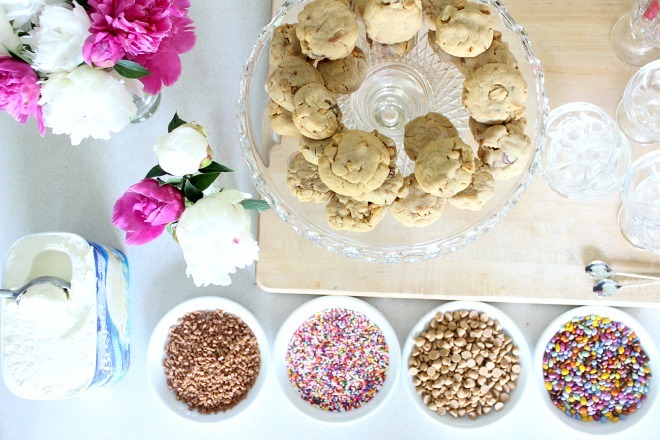 It couldn't be simpler to do and I promise all your guests will be in pure bliss devouring the treats and reminiscing about past childhood summers. 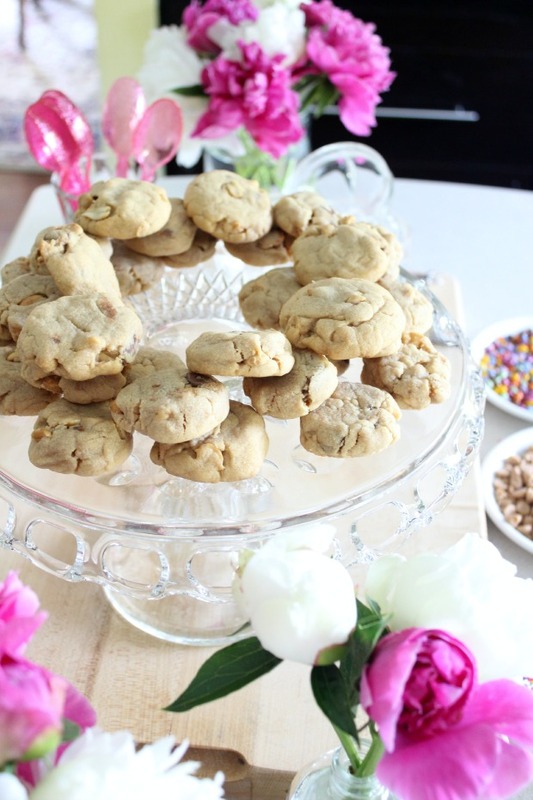 Is there really anything better than an afternoon filled with sunshine, good company and ice cream oozing out the sides of two freshly baked, perfectly chewy-on-the-inside cookies? I opted for these ultimate peanut butter cookies, since PB is his favourite. The combination of creamy peanut butter, chopped peanut butter cups, honey roasted peanuts, and peanut butter baking chips makes for the most intense, mouth-watering flavour. They were the softest, creamiest, melt-in-your-mouth peanut butter creation I have ever made. 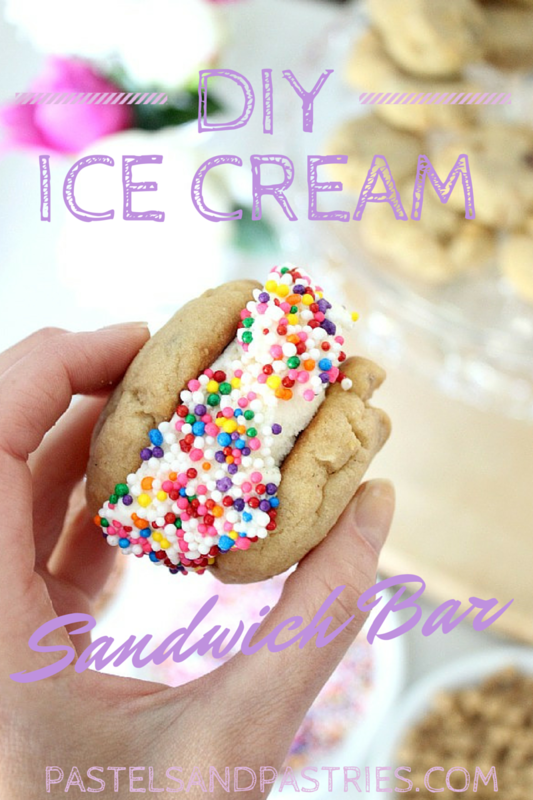 I chose to keep them small in size since some people get intimidated by ice cream sandwiches since you're actually have two cookies (absurd... I know). Not a fan of peanut butter? Try these (my fave). You'll thank me later. Can't decide? 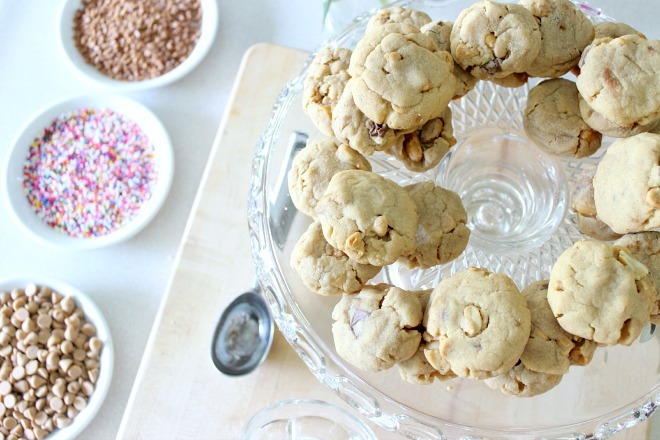 Serve a variety of cookies for guests to mix up the top and bottom. I chose for a classic vanilla ice cream as the cookies had so much going on in them. Pick your favourite; any will do. Why not try gourmet flavours such as toasted marshmallow, or cinnamon? Chunkier toppings tend to slide off the ice cream, so I stuck with tinier options. 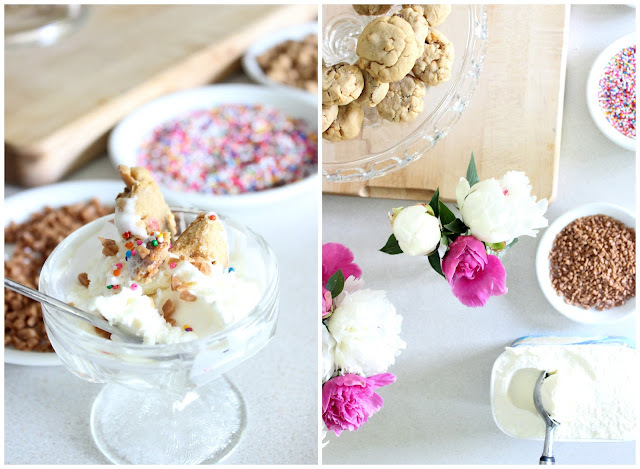 I put out skor pieces, sprinkles, peanut butter baking chips, and chocolate covered sunflower seeds in tiny dishes so guests could easily roll their ice cream sammie through the additions. 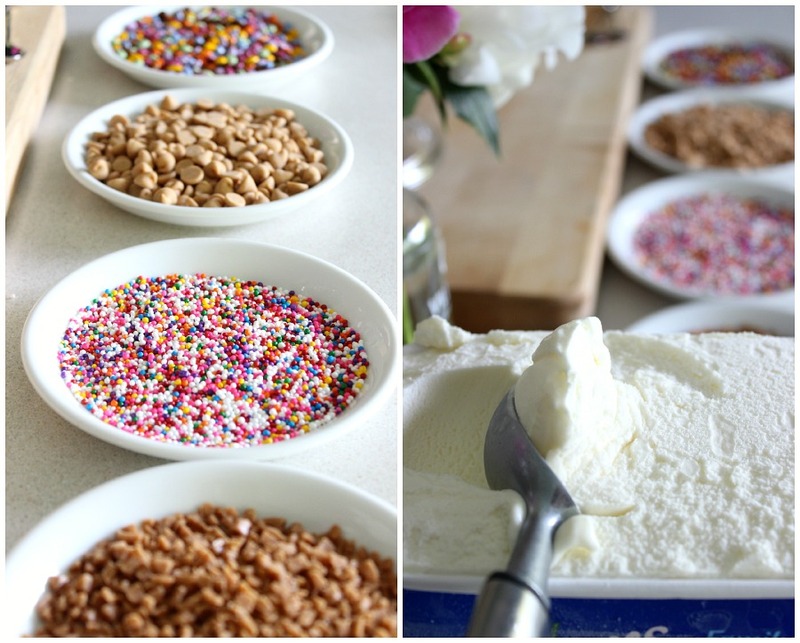 Sundae bowls are great to leave out in case guests want to avoid the sticky situation and make their creation in a bowl. Put out some spoons on the side. Love this!!! And your photos are beautifuL!!! Thanks for this DIY idea! I love it and want to try it out asap!